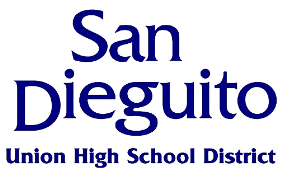 San Dieguito Union High School District leverages NAKIVO Backup & Replication to migrate workloads to a new datacenter within minutes, while approximately saving $18,000 annually on VM backup. The award-winning San Dieguito Union High School District (SDUHSD), in Encinitas, California, is one of the nation's finest school districts, offering a wealth of academic and extracurricular opportunities in which its students can engage and excel. Spanning 85 square miles, the district includes four high schools, five middle schools, and a continuation high school. The SDUHSD serves 7th through 12th grade students from the coastal North San Diego County and its surrounding communities. The IT infrastructure at SDUHSD consists of 20 ESXi hosts spread out across 13 different sites, and approximately 160 VMware VMs. “VMware VMs run various applications, including user home directories, Microsoft Active Directory, SQL, Oracle, SIS, file servers, web servers, AD, DNS, DHCP, LMS, as well as store critical student information systems, and financial information,” says Matthew Colwell, Network Technician at SDUHSD. "Data protection is an absolute must have for our organization because user errors, deleted files, ransomware, and malicious activities, all pose significant threat to achieving 24/7 availability of data and applications. We require a fast and easy approach to recovering VMware VMs, in the event that any previously mentioned malicious activity takes place." The previous legacy backup solution at SDUHSD was unreliable. "In general, we experienced constant failed backup jobs and the backup speed was just unacceptable. From time to time, the software would also leave behind VMware snapshots that would fill up the storage space. Overall, I had to spend approximately 8 hours a week on monitoring and maintaining the solution,” says Matthew. On top of that, the solution crashed almost every six months and every time it took several days to get the solution up and running again. “Combined with regular crashes that wasted our time, this backup solution was not worth keeping anymore that is why we decided it was time for a change. We wanted a backup solution that would deliver fast and reliable VM backup," says Matthew. SDUHSD came across NAKIVO Backup & Replication on a forum and decided to give it a try. “In terms of installation, I performed the basic setup in less than one hour. Product concepts were easy to learn and incredibly intuitive. By choosing the pre-configured virtual appliance option, we probably saved at least 3 hours on initial deployment across all sites. At first, I thought that I would not like the web interface, however, it’s fast and responsive, and we’re able to open the administrative interface from any computer, without installing a bulky client,” says Matthew. "VM backup is the backbone of the product, and it is fast – what used to take a day, takes a few hours. I also like that I can schedule a backup job for 20-30 VMs, in comparison to the previous solution, that could not even backup one VM after another,” says Matthew. In addition to VM backup, the Backup Copy feature provides additional advantages to SDUHSD. “We now maintain an offsite backup copy of our environment, so, we’ll be able to recover even if something happens to our primary backups. This feature was extremely simple to set up and I like how it is easy to define a separate retention policy for data that is maintained offsite. If to compare to the previous solution, backup copy saves us an additional 4-6 hours a week,” says Matthew. VM replication enabled SDUHSD to perform datacenter migration. “During the same time that we bought NAKIVO Backup & Replication, we were moving from one datacenter to another one, approximately 5 miles away. Prior to the move, we used the software to replicate critical VMs (one VM was 2 TB) from the old site to the new site. NAKIVO Backup & Replication performed the initial replication and continued to replicate daily changes each night, up until the day of the move. The end result was downtime that took a few minutes, rather than hours or days,” says Matthew. NAKIVO Backup & Replication provides SDUHSD with fast and reliable VM backup and VM replication, along with significant savings on backup administration. “With NAKIVO Backup & Replication, VM backups are fast and consistent, while backup copy jobs give us an extra level of data protection. Due to the way NAKIVO Backup & Replication backs up data, tasks that used to take a weekend are now finished in a few hours. With the previous backup tool, we could not perform VM replication, but with NAKIVO Backup & Replication, we used it to migrate VMs from one datacenter to another, with minimal downtime. While the previous solution required constant monitoring and controlling, we easily saved 32 hours per month on backup administration. For me personally, NAKIVO Backup & Replication cut down the amount of overtime that I work. And in terms of backup costs, NAKIVO Backup & Replication saves us approximately $18,000 annually versus the previous solution,” says Matthew. San Dieguito Union High School District (SDUHSD) is a school district headquartered in Encinitas, California. SDUHSD serves students from five elementary school districts in North County: Encinitas, Rancho Santa Fe, Cardiff, Solana Beach, and Del Mar. Students from those districts matriculate through middle schools and high schools, with the exception of those from the Rancho Santa Fe School District, who begin as freshmen. Overall, the district has four high schools, five middle schools, and a continuation high school. Booming population growth and demographic diversity have characterized the North County and SDUHSD in the past 15 years. Families from all parts of the world are attracted to the inviting climate and exceptional learning institutions, enriching district’s schools with a wide variety of languages and cultural backgrounds. From surfers to scientists, from beach cottages to high tech towers, this district represents a broad range on the socio-economic spectrum. For more information, visit www.sduhsd.net.